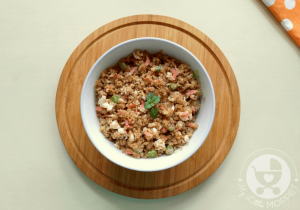 One of the best things about eggs is that it can be served in so many different forms – simply boiled or fried, scrambled or as omelette, in soup and salad, in custard and pudding, in rice and rolls. The egg takes on a different texture in each case, making it versatile enough to customize for kids of any age. 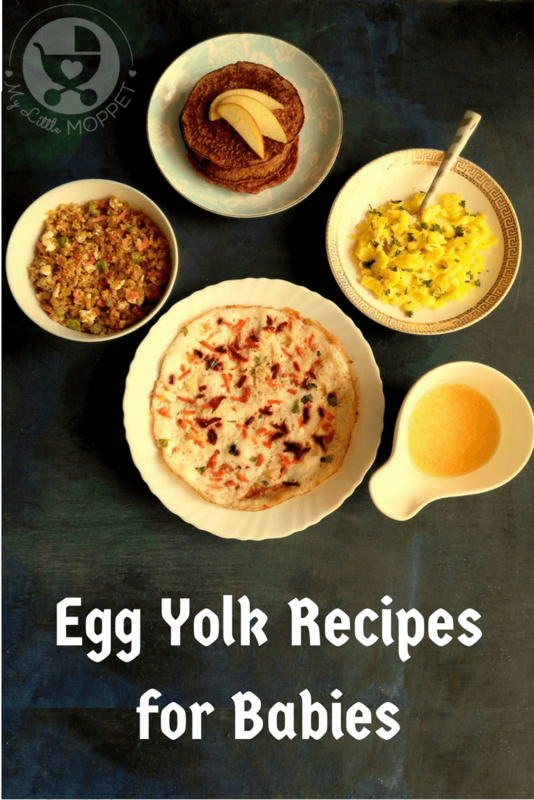 Once your baby has tried egg yolks in the more basic forms like boiling or frying, go ahead and make things a wee bit more complex with a special dish – egg yolk vegetable omelette for babies! 1. Beat the egg yolk with a wire whisk or fork. 2. 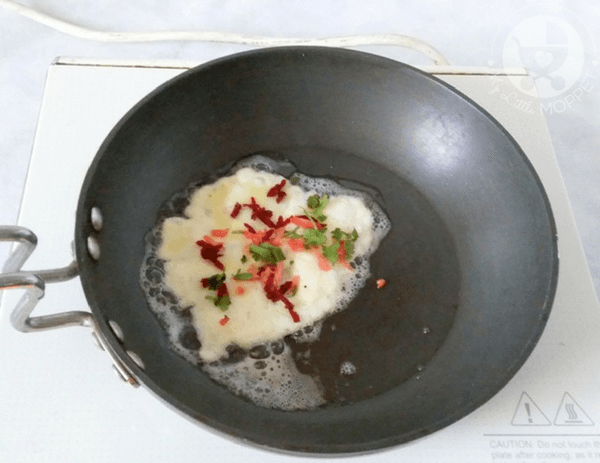 Melt butter in a frying pan and add beaten egg yolk to it. Swirl the pan gently to spread the egg a little, but not too thin. 3. Now scatter the vegetables over the omelette. 4. Season with black pepper powder. Lightly press the veggies on the omelet using a flat spatula. 5. 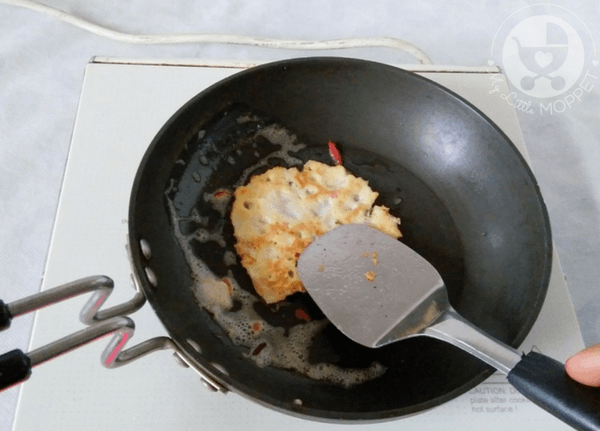 Once the omelette’s bottom is cooked, flip and cook on the other side. 6. Let the omelette cool down a bit before serving. 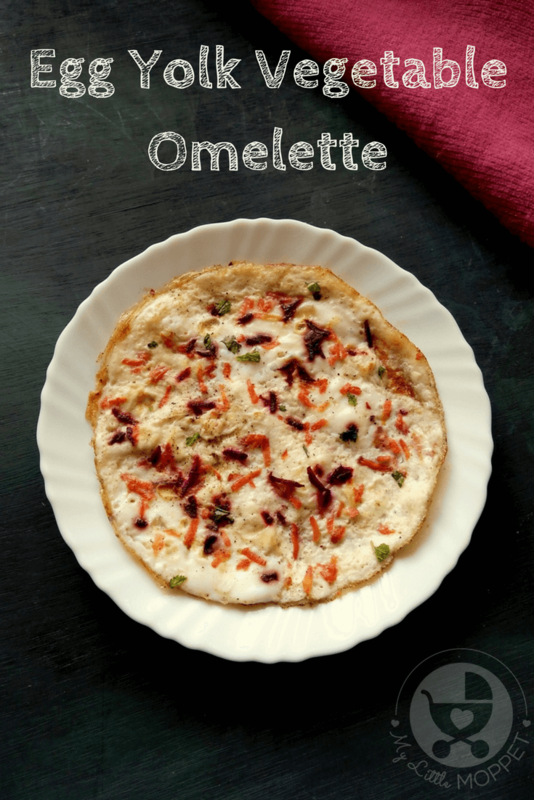 The vegetables in this egg yolk omelette for babies doesn’t just add to the nutritional quotient, it also makes the dish colorful! 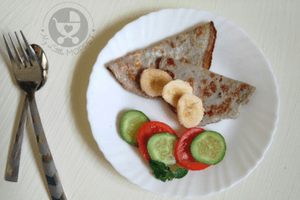 If your baby can’t tolerate pepper, you can also use roasted cumin powder instead. 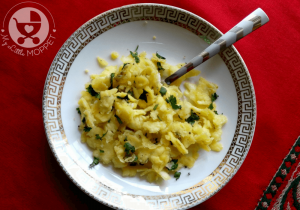 Skip salt for babies under one year – the omelette tastes great anyway! Now baby doesn’t have to feel left out at the breakfast table – he can have his very own special omelette! 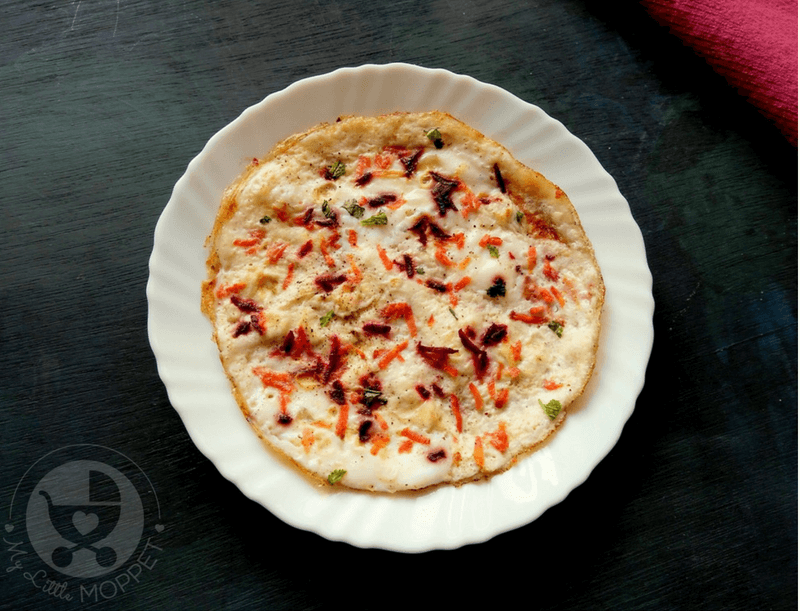 Let baby enjoy a hearty breakfast with the rest of the family with his special dish - egg yolk vegetable omelette for babies! 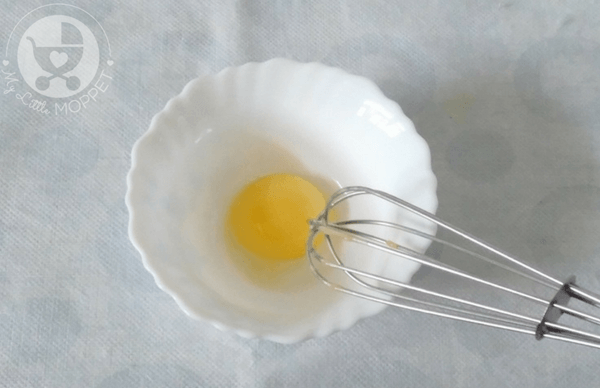 Beat the egg yolk with a wire whisk or fork. 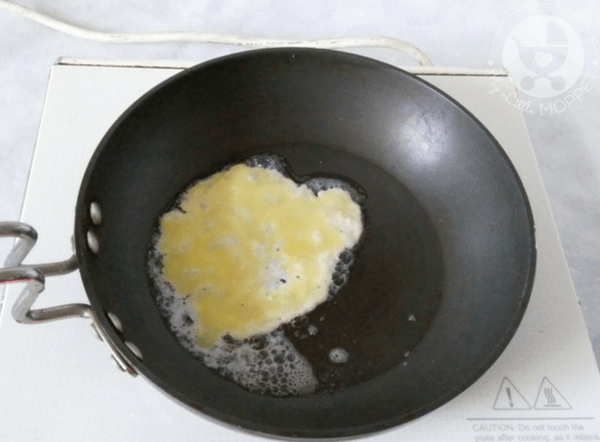 Melt butter in a frying pan and add beaten egg yolk to it. Swirl the pan gently to spread the egg a little, but not too thin. 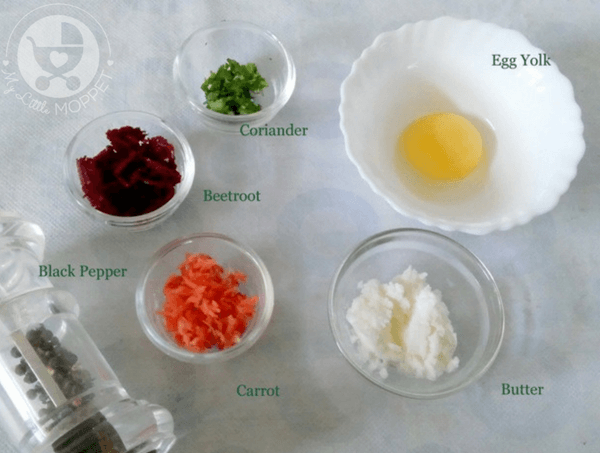 Now scatter the vegetables over the omelette. 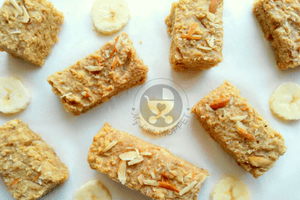 Season with black pepper powder. 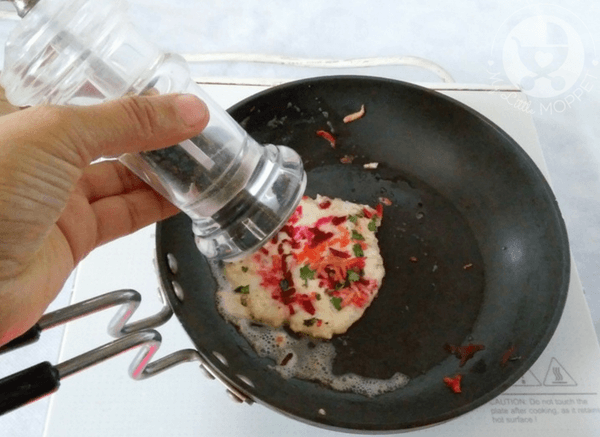 Lightly press the veggies on the omelet using a flat spatula. Once the omelette's bottom is cooked, flip and cook on the other side. Let the omelette cool down a bit before serving.